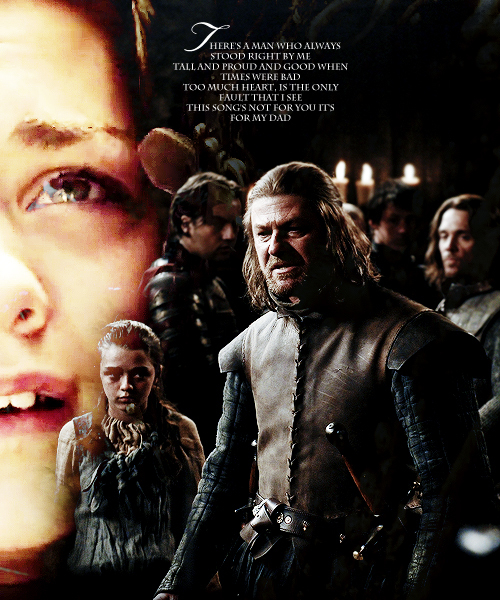 Arya & Ned Stark. . Wallpaper and background images in the House Stark club tagged: house stark game of thrones arya stark eddard stark ned stark daughter father. This House Stark fan art might contain sign, poster, text, chalkboard, street, city scene, urban setting, fur coat, fur collar, and fur accent.